Insomnia is a persistent sleep-related disorder in which an individual has trouble falling asleep, or is unable to sleep at all, even though they wish to sleep. In the current scenario, where everyone is in a race to stay ahead of others, stress is very common amongst individuals. The body undergoing numerous tensions and pressures falls prey to many diseases, such as depression, insomnia, and anxiety. As per the National Institutes of Health (NIH) estimates, as many as 30% of the adult population complain of sleep disruption, with the diagnosis of insomnia. These mostly comprise adult men and women, who not only suffer sleeplessness during the night, but negatively impact their daily life as well. Acute Insomnia: This type of insomnia is of short term and may persist from several nights, for up to three weeks. It resolves on its own with the passage of time and improvement in the quality of life, without requiring any particular treatment. Chronic Insomnia: This type of insomnia may prevail for a longer period of time; for more than three weeks. It often requires some form of treatment in order to be resolved. Acute insomnia is caused by emotional disorders, stress, depression or traumatic incidents. With the passage of time and normal medications (if necessary), the condition of the person may start to improve. On the other hand, the causes of chronic insomnia are slightly different. This is usually a symptom and side effect of another problem. Certain medical conditions, medications, or sleep disorders, can be the root causes of disrupted sleep or no sleep at all. Hence, this type of insomnia is also called secondary insomnia. Other reasons for insomnia may include respiratory problems, such as asthma, an overactive thyroid, gastrointestinal disorders, strokes, menopause, and hot flashes. Cognitive behavioral therapy can prove beneficial for those suffering from psychological problems. The therapy helps the person deal with the negativities and frustrations of life in a more positive way. When he or she feels contented and relieved, the body resumes normal sleeping patterns. For the treatment of chronic insomnia, various types of medications, collectively called hypnotics, are prescribed. There are some over-the-counter medications as well, but they do not ensure better sleep quality and have certain side-effects as well. There are certain antidepressants too that are commonly prescribed for insomnia. Other medications include antipsychotics, anticonvulsants, barbiturates, and non-hypnotic benzodiazepines. These medications, though improve the situation to some extent may involve certain significant risk levels as well. Individuals usually look for simpler ways when it comes to treatment of insomnia. They may seek for over-the-counter solutions because it is more convenient for them to visit the chemist’s shop, than to fix an appointment and seeking professional advice. As a result, they unknowingly open doors to even more health issues, into the future. Visiting and seeking medical advice from an expert healthcare professional is always recommended because he or she can suggest a more accurate and organized method to cure the condition. Moreover, it is safer and more reliable than other self-help strategies. Junge, M. What is insomnia?. Billiard, M., & Bentley, A. (2004). Is insomnia best categorized as a symptom or a disease?. Sleep Medicine, 5, S35-S40. Parrino, L., Ferrillo, F., Smerieri, A., Spaggiari, M. C., Palomba, V., Rossi, M., & Terzano, M. G. (2004). 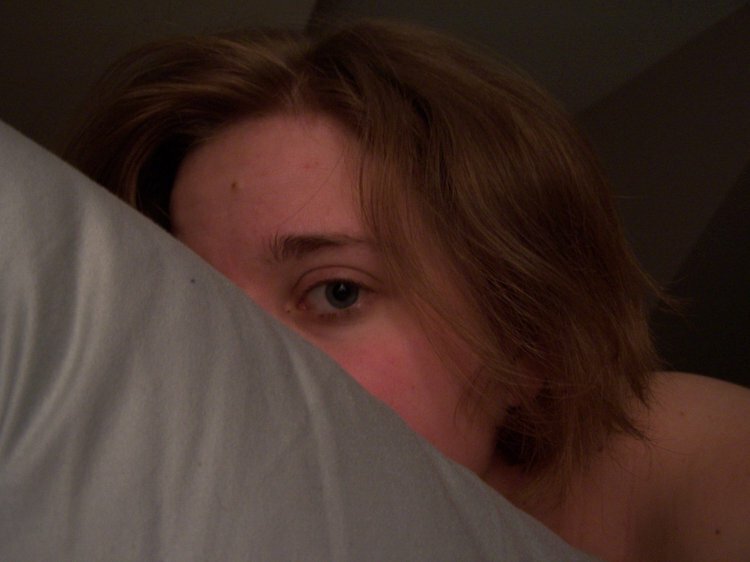 Is insomnia a neurophysiological disorder? The role of sleep EEG microstructure. Brain research bulletin, 63(5), 377-383. Rocha, F. L., Hara, C., Rodrigues, C. V., Costa, M. A., e Costa, É. C., Fuzikawa, C., & Santos, V. G. (2005). Is insomnia a marker for psychiatric disorders in general hospitals?. Sleep medicine, 6(6), 549-553.
binti Zaini, N. (2013). WHAT IS INSOMNIA. E-Jurnal Medika Udayana, 2(12), 2061-2076. Marques, M., Bos, S., Soares, M. J., Maia, B., Pereira, A. T., Valente, J., ... & Azevedo, M. H. (2011). Is insomnia in late pregnancy a risk factor for postpartum depression/depressive symptomatology?. Psychiatry research, 186(2), 272-280. Lichstein, K. L., & Morin, C. M. (Eds.). (2000). Treatment of late-life insomnia. Sage Publications.